Home / News / Palace to Pope Francis' remarks on governments duty: "We consider the Vatican's remarks as a boost in Duterte's campaign..."
Palace to Pope Francis' remarks on governments duty: "We consider the Vatican's remarks as a boost in Duterte's campaign..."
On Saturday, December 1 Pope Francis delivered in a message at the 266th Roman Catholic Church conference at the Vatican, a very timely message to the government to fight illegal traffickers. 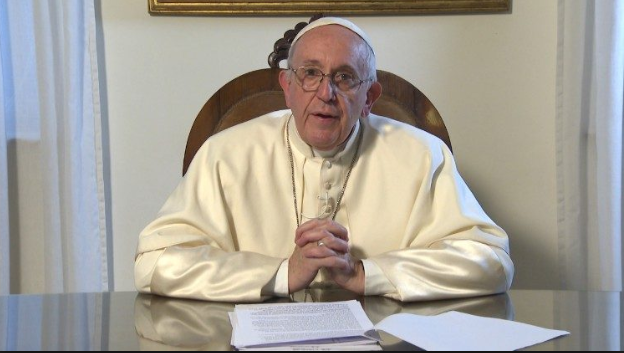 In the message he conveyed before the participants, the 266th pope of the Vatican denounced the "pathological forms derived from a secularized cultural climate, marked by the capitalism of the consumption." According to Pope Francis, the participants of the conference had grappled with issues "of old and new addictions that block integral human development." The pope also called everyone to fight both the production and distribution of such drugs. He stated that it is the task of the government's "to face with courage this fight against the traffickers of death." "In this situation, the Church feels the urgency of putting the human person back at the centre of the socio-economic-cultural discourse; a humanism founded on the 'Gospel of Mercy'. This calls for a truly effective pastoral action in order to alleviate, care for and heal the immense suffering caused by various forms of addiction, the pope said." The leader of the world's 1.2 billion Catholics noted that the Church is working with various groups to address the problem through prevention, treatment, rehabilitation and reintegration projects. 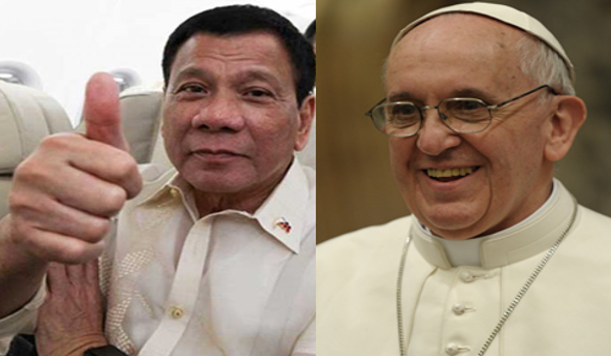 Presidential spokesman Salvador Panelo said the pontiff's remarks are "not only relevant but also timely when it comes to our country's present situation." "We consider the Vatican's remarks as a boost in our campaign as we battle the twin evils of crimes and drugs," he added. "This is precisely the rationale behind the president's war on illegal drugs in the Philippines: to save the young and future generations of Filipinos from the drug scourge," he added. 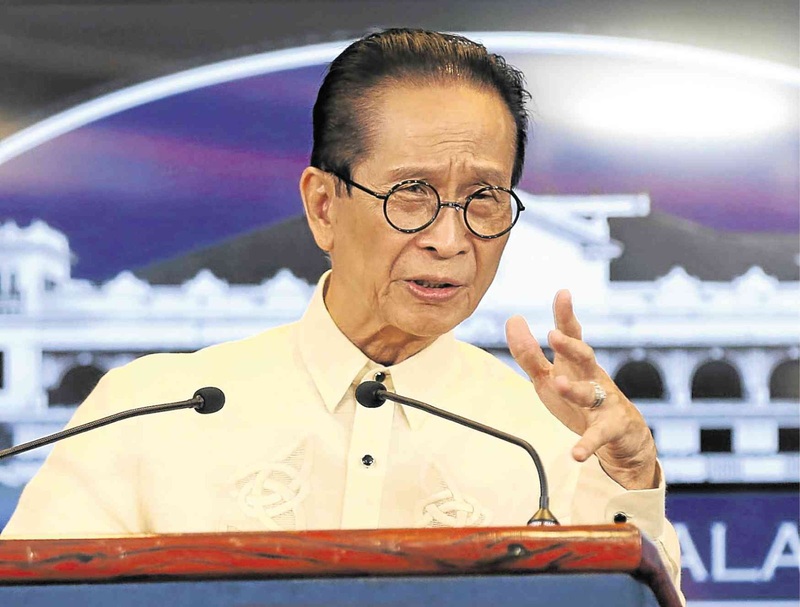 Panelo said that the Duterte administration received a lot of "laudable developments" in the anti-drug campaign despite the "noise" coming from the "loud minority" composed of the president's critics here and abroad. The Catholic Church in the Philippines has been a favorite of President Rodrigo Duterte, but according to Panelo that Duterte's criticisms against the Church was his personal views and had nothing to do with his performances. Last week, Duterte advised Roman Catholics to stop going to churches and has accused Church leaders of making money out of masses and baptisms. He said Catholic bishops, some of whom are critical of his crackdown on illegal drugs, belong to an "archaic" church that is already 3,000 years old. Panelo also denied that Duterte's tirades against the Church were meant to divert attention away from his administration's shortcomings. He said the president has accomplished a lot compared to some of his predecessors. "Dalawang taon pa lang siya. Kung ikukumpara mo siya sa ibang presidente, malayong malayo, (He has been in office for only two years. If you compare him with his other predecessors, he has achieved far more than they did)," Panelo said in an interview.